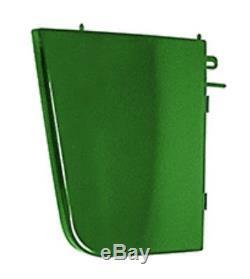 One New Aftermarket Replacement Front Engine RH & LH Side Shield Panel Set that fits John Deere Tractor models : 3010 and 3020. (1) RH Front Engine Side Shield Panel, Part # AR26497 (1) LH Front Engine Side Shield Panel, Part # AR26498. The RH & LH Panels are also available separately in our. Replaces Part Number: AR26497-98KIT (one of each: AR26497 & AR26498). We also carry replacement parts for the Boom Cylinder (Seal Kits, Tubes, Glands, Pistons, Rods). 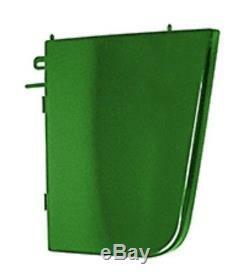 The item "AR26497 AR26498 New Front RH/LH Side Shield Panel Set For John Deere 3010 3020" is in sale since Wednesday, September 17, 2014. This item is in the category "Business & Industrial\Heavy Equipment Parts & Accs\Antique & Vintage Equip Parts". The seller is "reliableaftermarketpartsinc" and is located in Williamston, Michigan. This item can be shipped worldwide.